We established a working airfield. a short distance to the west. Poet's Notes: This is another poem inspired by my experience when I was a USAF flight surgeon participating in the international relief effort in the aftermath of the terrible tsunami that devastated Indonesia and parts of Thailand at the end of 2004. Maimun Saleh Airport was an austere airfield with a short runway located in the city of Sabang on the island of Weh. 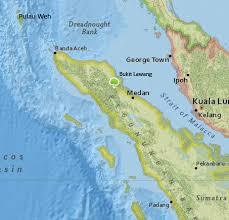 Weh island had been hard hit by the tsunami, but not as badly as nearby Banda Aceh. The Tanker/Airlift Control Element (TALCE) for which I was the sole medical support turned Maimun Saleh into a busy, functional air hub where relief supplies were collected and distributed, mainly to Banda. C-130 Hercules (hence the reference to the "Herculean effort" in the poem) are able to land and take off from short runways. Along with helicopters (aka "rotary wing), C-130s were the aircraft that ferried the supplies.